Professional network LinkedIn crossed the milestone of 10 million members in India this year. Only in its second year of operations in the country, the company is now directing its efforts towards scaling up operations and connecting with consumers for feedback that will result in new features and updates on the website. 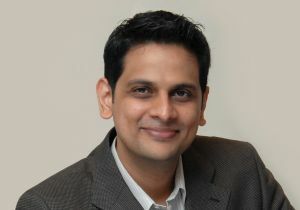 In an interview with Techcircle.in, Hari Krishnan, Country Manager of LinkedIn India, talks about how the network has been scaling up, new features such as Signals and Skills, BranchOut, and his plans for the year ahead. How has LinkedIn scaled in India and what is its current status? When I joined LinkedIn in 2009, we had 3.4 million members on board in India and this has gone up to 10 million-plus this year. Globally, we have 100 million members. Incidentally, India is the second largest base for LinkedIn. According to comScore metrics, we had 5.4 million unique members as of March, 2011. The engagement of users has improved significantly over time, with the improvement of products and our own growth. We have ramped up marketing, rather than sales. Now, we have 30-35 employees in three cities â€“ Gurgaon, Bangalore and Mumbai. Our marketing personnel talks to 3,000 customers in all, including end-consumers, recruiters and marketers. There has been a lot of activity in understanding customers, how they are using LinkedIn, what they value and how we can improve the experience. We have looked at what influences member behaviour. We also make a lot of tools available to consumers and have great confidence in the network being able to deliver those and subsequently meet their requirements. How did these lead to product innovations at LinkedIn? 'LinkedIn Today' is an example of such feedback from customers across the globe. We are constantly listening to what consumers want, what is of value to them and what is it that they find tough or challenging. Nowadays, data gets created at a greater pace than ever before. But a lot of data does not necessarily help in decision-making and people want help when it came to fast and correct decision-making. 'Linked Today' was the answer to the question: How do I know what is relevant to me? It picks up news relevant to your industry, which is probably more contextual. Then, we brought in the integration with Twitter â€“ so that members not only know what millions of people in that industry are talking about but also what those in their networks are sharing. The amount of news on 'LinkedIn Today' has been staggering. What about feedback from Indian users? The Indian influence has ensured growth in the mobile space and we now have apps for iPhone, BlackBerry, Android and Nokia handsets. And a lot of these developments have happened over the last 18 months. We saw that the mobile is another way of accessing profiles. For instance, if you are stuck in traffic and on your way to a meeting and want to quickly look up the person and find out what's common between you and him/her, you may use your cell phone to do so. Such professional insights can make deals happen. We also integrated the apps closely with native applications. In BlackBerry handsets, the app is integrated with Calendar and Facebook. So, if a person has recently shifted to another company, it is automatically reflected and thus saves a lot of time. There are many real-world examples of how a general manager can save time with such tools. How will you reach more users and educate them about your services? Will those measures be online only? On-ground is a part of our strategy. We may work with a focus group and conduct open-ended brainstorming sessions. We hold separate ones for advertising agencies but more importantly, on a week-on-week basis, our marketing team reaches out to online users. We hold Twitter meets where we share best practices and how to add connections. If we feel that it is not working online, we will go offline more. But the best indicator of how an initiative is doing happens to be the growth and I think we are doing well. Are you still viewed as a competition for Naukri and other job boards by recruiters? No, from a recruiters' standpoint, the best talent is someone who is successful at a job and getting promoted within the same company and not actively looking for a change. These are the people whom recruiters want to tap on LinkedIn. Members of LinkedIn are on it for the purpose of networking, they don't come here for a job. On the other hand, job boards attract talents who are actively looking for new jobs. What did you think of BranchOut? Well, LinkedIn clearly comprehends the context and people's need to have separate professional and personal identities. People don't want to share the two. Therefore, it comes down to what professionals use. We understand that there are different contexts in which people are active and apps like BranchOut and Monster's BeKnown satisfy different needs. But LinkedIn has been around for long and our strongest period of growth has been in the past three years. So, we are not threatened. Are tools like Rapportive disruptive? I haven't used Rapportive, but I have heard about it. LinkedIn has e-mail integration for Microsoft Outlook and Lotus Notes. Since we are focused on professionals and larger corporate houses, we opted for the e-mail client of their choice. What are the new features coming up on LinkedIn? Well, 'Signals' is new. It puts a lens on the news. When you have all these status updates and comments, coming in, it helps you know 'who' is saying what. So that you can get insights, rather than a data dump. A lot of marketers are talking about the rush of data in social media and 'mentions' of a brand, without detailing whether it's a negative context or a positive context. Often, the most pertinent questions a CEO will ask is: 'Mentions' by whom? 'Signals' is aimed at users, journalists, marketers, i-bankers, researchers â€“ anyone who needs to know the pulse of the nation. 'Skills' is another new feature. A profile reflects certain attributes and I could elaborate on some, but others cannot be explained. LinkedIn will help people searching for certain skills and connect them to those who claim to be experts. So recruiters can assess talents and the goal, again, is insight. What are the individual contributions of your revenue streams today? We have three revenue sources â€“ corporate solutions and enterprise software solutions for recruiters; marketing solutions for advertisers and finally, premium accounts for members. I will not be able to share their individual contributions due to our company policy. What are the key focus areas of investment this year? The topmost investment focus for me is employees. We have a heightened focus on quality and have hired people who have worked at TCS, IBM, Intel, Wipro and Cisco. We are getting the best employees in India to work with us. The second investment focus is on end-consumers. Are we providing best value to them and communicating with them? Finally, we want to target recruiters and marketers. In India, we are rapidly hiring for marketing operations and we have cut across a lot of verticals â€“ from Biocon, ING Vysya and HCL to Jet Airways and Volkswagen. What are your expectations going forth? It's still very early for us: it's just the second year. By the end of 2012, I want to get the message out and prove to B2B marketers that LinkedIn is the place to do business. We are disrupting the entire talent acquisition industry and in the next 18 months, we expect big chunks of growth.